Whether or not you're religious, it doesn't matter - Easter is a time for family, friends and fun and... brunch, of course! With the amount of sunshine and delicious eats in San Diego, locals have endless options to choose from when selecting a restaurant for Easter. From soothing ocean waves to downtown digs, brunch can have something to offer for everyone this Easter - even the kiddos. 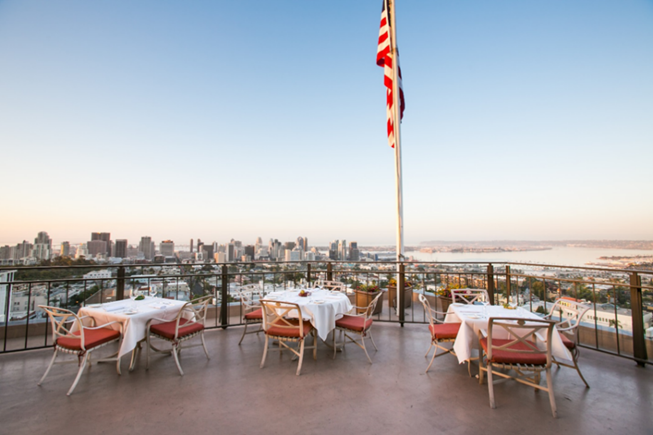 Here we've gathered and sorted through San Diego's top dining destinations for Easter 2014. Sunday has practically become synonymous for brunch day, and with Easter quickly approaching on April 20, 2014, San Diego restaurants are taking Sunday brunches to the next level with champagne buffets and egg hunts for the family. Although this includes much more than brunch, the best Sunday Fundays usually start with a mix of breakfast, lunch and cocktails! Searsucker - Located in the heart of the Gaslamp Quarter, Searsucker's menu pays homage to Executive Chef Brian Malarkey’s love for the ocean. With Malarkey's re-imagined twist on new American dishes, he brings farm-to-table authentic dishes to his eclectic menu. To bring family and friends together for Easter Brunch, Searsucker Del Mar will offer Cast Iron Baked Eggs with spring onion cream and roasted morels while Searsucker Downtown will have a Goat Cheese and Spring Veggie Quiche made with an in-house crust. For dessert, both locations will offer Carrot Cupcakes for children. For reservations at Searsucker Downtown, please contact (619) 233-7327. Jsix - Searching for a slightly more sophisticated way to celebrate than a hunt for the Bunny’s hidden treasures? Jsix is offering egg-citing eats and libations just in time for the Easter season. It’s always sunny in Executive Chef Christian Graves’ kitchen, where you'll find dishes like the grilled broccoli with cured ham and an egg served up. If you're an early riser, his Chilaquiles will light the day on fire. Look no further than Lead Bartender Nate Howell’s Hunt & Gather, a build of cedar-infused Aviation gin, house grenadine, grapefruit juice and egg white with a sidecar of pinot noir. And let’s not forget the High 5 with Mittens, a combination of a Ramos Gin Fizz and Root Beer Float served with a swizzle straw and a smile. All items are part of Jsix’s seasonal menu offered daily. Bertrand at Mister A’s - On Sunday, April 20, the iconic Bertrand at Mister A’s will host a prix fie Easter Sunday brunch between 10am and 2pm. Priced at $49.50 per adult, the three course meal will feature dishes including classic Easter favorites like oven roasted leg of lamb or traditional prime rib as well as classic lobster bisque, Hawaiian bread French toast and decadent desserts like carrot cake with toffee sauce and local farm strawberry shortcake. View Mister A’s full Easter brunch menu here. Easter dinner service will also be offered on Sunday, April 20 between 5 - 8:30pm. Reservations can be made online at bertrandatmisteras.com or by calling the restaurant directly at (619) 239-1377. RA Sushi Bar Restaurant - When the family festivities have died down and you're feeling a little stir crazy, head to RA Sushi for its Sunday night Flying Fish Lounge specials and local music. Beginning at 8pm, DJs will spin as you choose from specials on more than 30 sushi and tapas selections like the locally favored Viva Las Vegas Roll and Crispy Spicy Tuna, as well as a wide variety of beer, wine and signature cocktails like the Blushing Geisha and Dragon Bite. 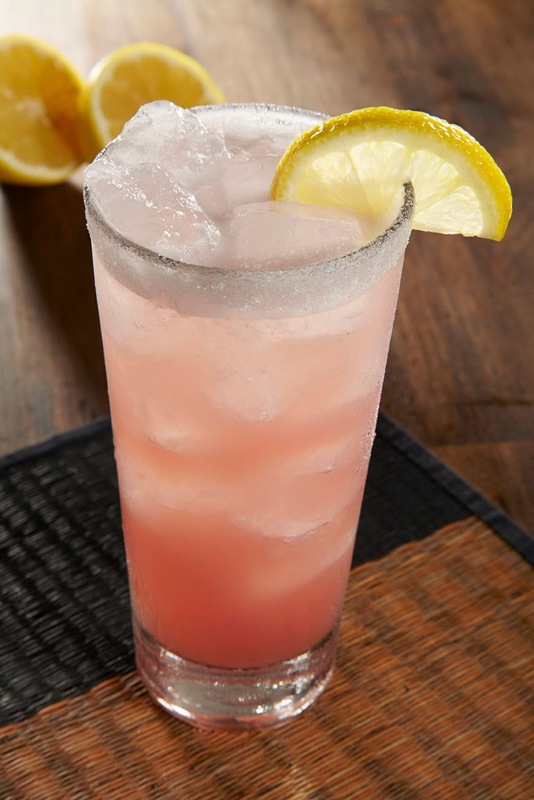 Served until 11pm, popular Flying Fish Lounge dishes start at $2.25 and drinks at $3. THE US GRANT - Spring into Easter with THE US GRANT's signature Easter Champagne Brunch Buffet complete with new stations including an Eggs Benedict station with a collection of different breads, toppings and sauces, a candy bar station featuring dishes such as Banana Baby Ruth Flambé and Bit O Honey Butter Scotch, highlighting candy bars created during the Prohibition Era. Additional standout menu items include an omelet station, fresh seafood such as chilled shrimp and crab claws with cocktail sauce, an oyster bar and honey fig glazed Kurobuta pork rack. 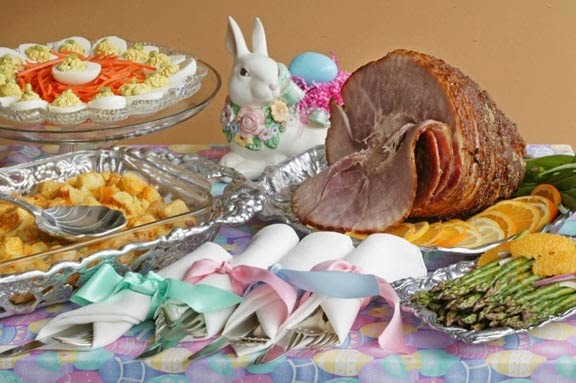 The Easter Champagne Brunch Buffet is served on Sunday, April 20 at 11am, 12:30pm, and 2pm. $74 for adults, $65 seniors, and $27 for children ages 12 and under. Live entertainment will be provided with specialty photos with the Easter Bunny. Reservations are required and can be made by calling 619-744-2039. Complimentary valet will be included. In addition, the Grant Grill at THE US GRANT will be offering a delectable plated Easter brunch and dinner with seasonal favorites. Reservations are recommended and can be made by calling 619-744-2077. The Westgate Hotel - Celebrate Easter in Parisian style at The Westgate Hotel with Easter-themed tea services and a special Easter brunch, including: Easter Bunny Teas - On Friday, April 18 and Saturday, April 19, the Easter Bunny Teas will feature kid friendly petit fours and mini pastries paired with a traditional European afternoon tea. Families can partake in an Easter egg hunt on the Riviera Terrace, watch a demonstration by a magician and meet the Easter Bunny. The events will run from 2:30 - 5pm both days. The price is $45 for adults and $30 for children 12 and under, plus tax and gratuity; Easter Champagne Brunch - On Sunday, April 20, experience The Westgate’s traditional Easter Champagne Brunch, complete with fresh seafood, made to order omelets, carving stations, gourmet desserts and a kids’ specialty station. Families and children will be entertained by a face painter, special visit from the Easter Bunny and live music. Brunch will be served from 10am - 3pm. The price is $65 for adults and $29 for children 12 and under, plus tax and gratuity. Tickets for the Easter Bunny Teas and Easter Champagne Brunch can be purchased at westgatehotel.tix.com or by calling 619-557-3655. 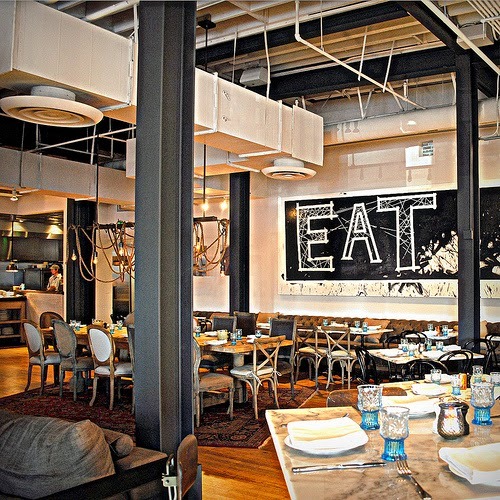 BiCE San Diego - Centrally located in the historic Gaslamp District, BiCE San Diego welcomes guests to enjoy the celebrations of Pasqua (Easter) with modern takes on traditional Italian dishes. Chefs Mario Cassineri and Francesca Penoncelli will serve a four-couse prix fixe menu with festive flavors for the whole family to enjoy. For $43 per person, guests will share a family style selection of artisan salami and cured meats followed by their choice of four courses, including selections such as Saltimbocca Chicken Scaloppine, Double Cut Lamb Chops with Roasted Nectarine and Strawberry Tiramisu. A Kids Menu will also be available at $22 per child under the age of 10. The full Easter Brunch menu is featured online. For reservations, call 619-239-2423. For those who prefer to prepare their holiday meals at home, Chefs Mario and Francesca invite guests into their kitchen on April 12 and 13 to learn the art of creating an Italian "Pasqua" (Easter) meal. The menu for this hands-on two-day class will include some of Italy's most authentic Easter recipes, including Shaved Green Salad made with the freshest ingredients from the local farmer's market, naturally flavored fresh Mint Pappardelle with Lamb Sauce and Torta Pasqualina, a savory, traditional Easter pie from Liguria. Lael's Restaurant at Manchester Grand Hyatt - This Easter, feast on the good times with family and friends at Easter Sunday Champagne Brunch at Lael's Restaurant at Manchester Grand Hyatt San Diego. With a Made to Order Omelet Bar, Fresh Belgian Waffles, a delectable Seafood Display with Alaskan King Crab Legs and Fresh Shucked Pacific Oysters, and Sushi on Ice with fresh Sashimi, and a Wakame and Tofu Salad with Papaya Vinaigrette, Lael's Easter Sunday Champagne Brunch has dining options to cater to every palate. Guests can get in the spirit of the holiday with Easter Egg Hunts at 11:30am and 2:30pm and the Easter Bunny will make an appearance at 10am. Cost for adults is $64.95, seniors (62+) is $45, children (6-12) is $25 and kids 5 years and younger are complimentary. 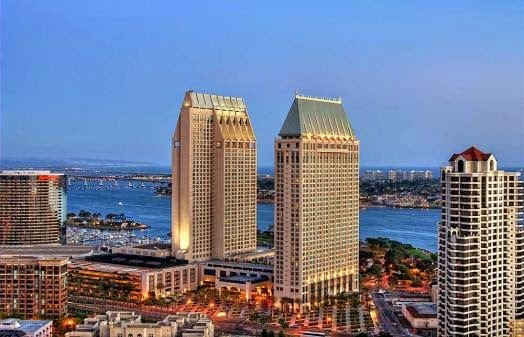 Sheraton San Diego Hotel & Marina - The Easter Bunny is visiting the bayfront Sheraton San Diego Hotel & Marina this year for family-friendly entertainment suitable for all ages. 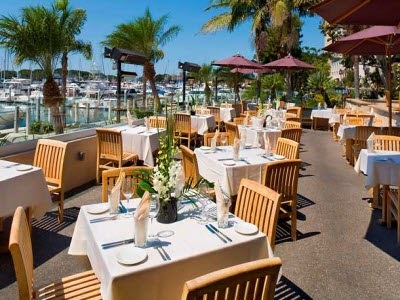 Sheraton San Diego Hotel’s signature restaurant, Harbor’s Edge offers an Easter brunch buffet from 9:30am - 2pm in their newly refreshed dining area facing picturesque views of the marina. Savory and sweet brunch specials include waffles and omelets made fresh to order as well as Easter classics, Apple-wood Smoked Pit Ham and Whipped Yukon Potatoes. Hands-on Easter entertainment includes a meet and greet with the Easter Bunny and egg coloring in the Kids Craft Corner. Prices for Easter Brunch Buffet are $49.95 for adults, $21.95 for children and children who are age five and under have complimentary admission. Call Harbor’s Edge for reservations at (619) 291-2900. Marina Kitchen - Marina Kitchen is bringing families together this Easter with fun, holiday activities for the kids and a delicious Easter buffet featuring a selection of homemade dishes that will please the tastebuds of kids and adults alike. The Easter Bunny himself will make an appearance, where he will meet and greet with families in the dining room. In addition, kids have the opportunity to get their photos taken with the Eater Bunny and partake in two poolside Easter egg hunts. Families and friends will enjoy a special takeaway to remember the holiday occasion, as they get their snapshots taken in the Fotobox photo booth. Inspired by American holiday favorites, Executive Chef Aron Schwartz has created a nostalgic menu that will take diners right back to their childhoods. The seasonal menu includes a selection of fresh salads, soups made from scratch, local seasonal vegetables and sides, and a carving station featuring Citrus Honey Roasted Ham and Rosemary and Basil Marinated Leg of Lamb. Those with a sweet tooth will love the dessert station featuring a selection of holiday desserts including Hot Cross Buns and Carrot Cake Cupcakes. Roy's Hawaiian Fusion - Roy’s Restaurant is open for brunch on Easter Sunday and will offer a special two-course menu to celebrate the occasion. On April 20 only, each guest can choose one appetizer and one entrée for only $33.95 per person. Keikis (kids) are welcome too, and will have their own menu to order from featuring two courses and a dessert for only $12.95 per child. Each party will also receive one $20 dining card that can be applied toward their next visit. Dallmann Fine Chocolates at The Headquarters - Isabella Knack has given her artisan chocolates a seasonal spin with special edition collections of chocolate eggs filled with flavors like Peanut Butter and Jelly and Sea Salt Caramel and Toffee. They range in size from nine to 25-piece boxes and are priced starting at $22. In addition to the boxed sets, Knack has created large limited edition Easter eggs filled with truffles in various sizes for purchase starting at $12, as well as chocolate bunnies and lollipops starting at $5. All of Dallmann’s Easter treats are available at both the Del Mar and Seaport District at The Headquarters locations. 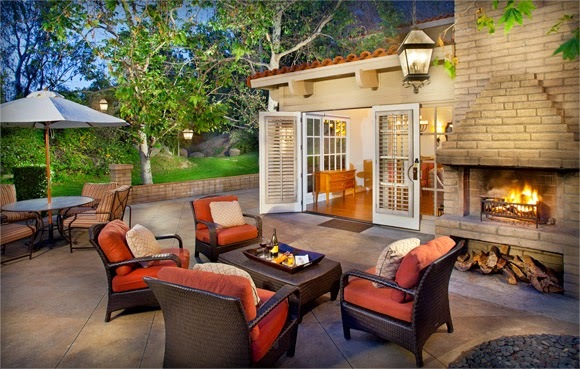 Brockton Villa - Set in a charming beach cottage overlooking the La Jolla Cove, Brockton Villa restaurant offers a beautiful setting to enjoy holiday meals with loved ones. Executive Chef Mareyja Sisbarro will put her spin on classic Easter dishes with breakfast and lunch specials. Guests can start off Easter Sunday with a Ham and Triple Cream Brie Omelet made with honey ham, caramelized bosc pears and caramelized sweet onions, or indulge in a Roasted Lamb Sandwich made with rosemary foccacia, garlic mint aioli, watercress, caramelized onion and tomato. Duck Dive - This Easter, The Duck Dive is the place to celebrate with family and friends. They will be serving up a prime rib carving station, omelet station and a Duck Dive buffet with all of your favorite breakfast treats. Brunch for the entire family starts at 9am and is $30 per person. Reservations can be made by calling 858-273-2835. For some added Easter fun, arrive at 10am for the Duck Duck Grey Goose Easter egg hunt, a 21+ over scavenger hunt around Pacific Beach. To sign up for a team, e-mail pete@theduckdive.com. 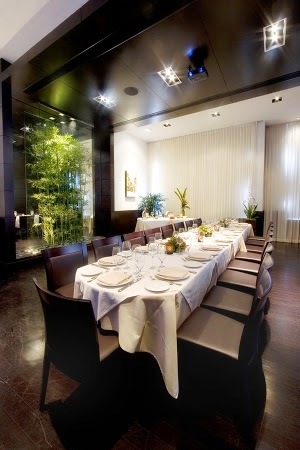 Cusp Dining & Drinks - Cusp’s Easter Buffet is a crowd pleaser, as it has something for every member of the family. Grown-ups can take advantage of $12 Endless Mimosas and a buffet stocked full of inventive brunch fare by Chef Donald Lockhart. A kid at heart himself, Lockhart has created an interactive Pancake Decoration Station for kids where playing with their food is not only accepted, it’s required. On the way out, kids can also pick up a special Easter Treat Basket. Located on the top level of Hotel La Jolla, Cusp boasts panoramic views of La Jolla Shores, a beautiful backdrop for this special occasion. The buffet is $30, kids under 10 eat for free. Reservations are required. Brunch is served between 9am and 3pm. La Jolla Brewing Company - La Jolla Brewing Company will be celebrating its first Easter since opening in January with an Easter Mimosa Brunch starting at 10am. 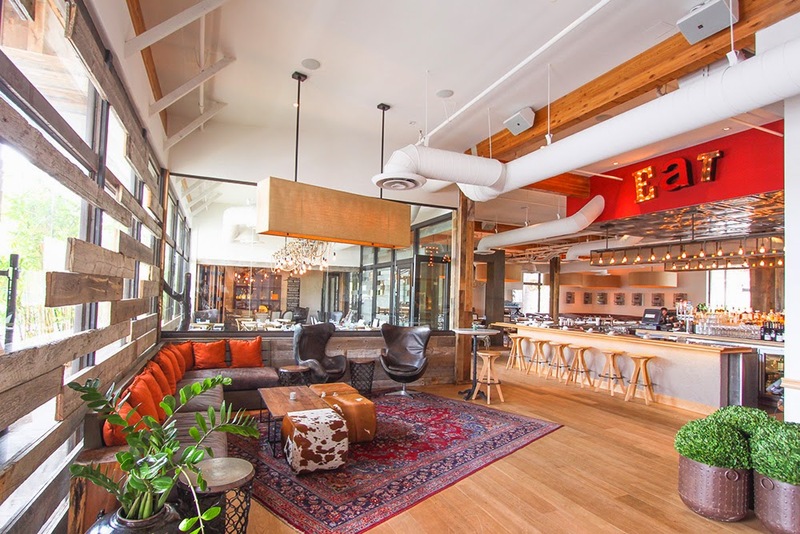 They’ll be featuring an array of delicious dishes such as the chorizo hash, the rosemary and goat cheese buttermilk biscuits, challah loaf French toast and ‘create your own’ omelets…all along side bottomless mimosas. 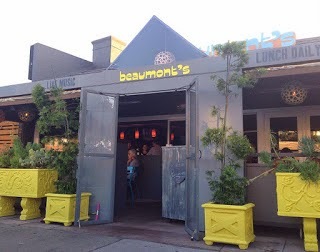 Beaumont's Eatery - Entrenched in the heart of Bird Rock, Beaumont's Eatery is where friends and family gather to enjoy delicious food and great company. In celebration of Easter Sunday, Executive Chef George Morris will offer his takes on the holiday's most cherished ingredients with a slew of Easter inspired specials. In addition to the regular farmer's market influenced menu, guests will have the option to enjoy a Spring Vegetable Scramble made with pencil asparagus, English peas, hedgehog mushrooms, early tomatoes and creme fraiche; a Braised Lamb Benny made with slow-smoked lamb, English muffin, poached eggs and a stinging nettles hollandaise. For lunch, guests can opt for a special Chilled Maine Lobster and Anjou Pear Salad mixed with arugula, frisée, candied smoke house almonds and black truffle vinaigrette. JRDN - Overlooking the majestic Pacific Ocean, JRDN Restaurant at Tower23 is San Diego’s hottest spot for dining and lounging, offering a unique experience in a modern and elegant atmosphere. The look of JRDN is fresh, cool, clean and upbeat to match the California fresh cuisine. 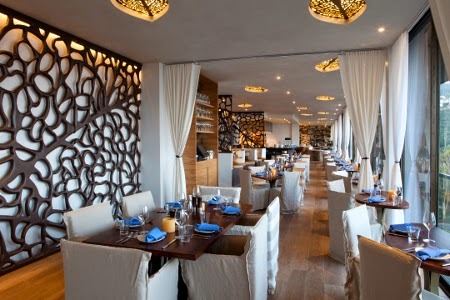 Enjoy brunch on Easter Sunday at the West Coast hip restaurant with amazing ocean views. Brunch menu highlights include french toast with bananas foster, the JRDN breakfast sandwich, seafood ceviche tostadas and a lobster b.l.t. - not to mention the famous Tower23 Bloody Mary! SEA 180° Coastal Tavern -The coast is the perfect place to enjoy a relaxing, seaside Easter brunch! 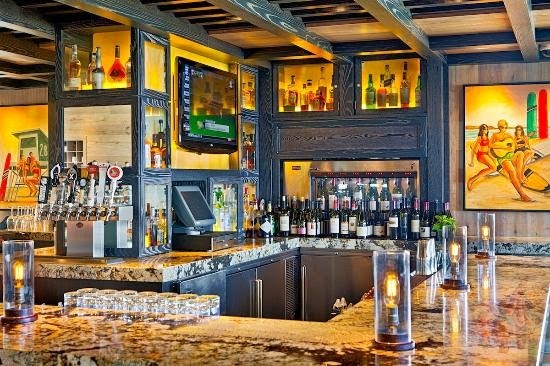 Imperial Beach’s Sea 180° will host a decadent buffet with a special menu complete with a grilled seafood display featuring smoked fish and oysters as well as a carving station offering prime rib and glazed ham. The full brunch menu is available here. Chandler’s Restaurant & Lounge - Departing from the general concept of a hotel restaurant, Chandler’s Restaurant & Lounge presents a world of its own. 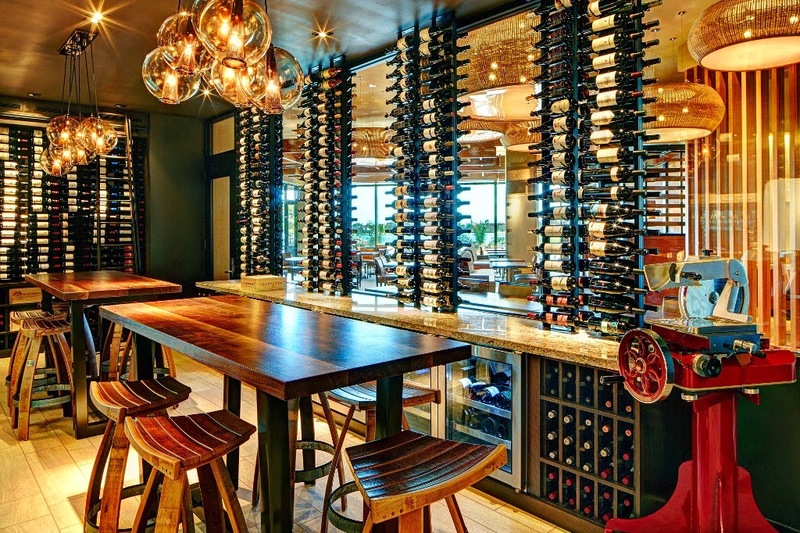 One of the most sought after restaurants in North San Diego County, Chandler’s brings innovation and style to the local restaurant scene, with eclectic, seasonal menus and delicious food prepared by internationally renowned Chef Pascal Vignau. Chandler’s will be offering an Easter Brunch on April 20 from 10:30am - 3pm. The hot, cold and dessert stations include items like smoked salmon with horseradish cream and green tomato jam, shrimp and crab claws, a customizable omelet station, and warm spring bread pudding with vanilla custard. Cost is $65 for adults, $25 for kids. 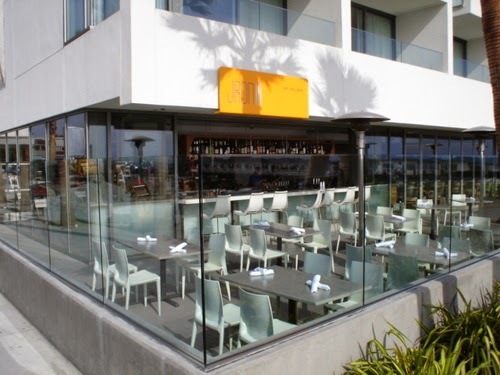 Searsucker Del Mar - Located in the charming coastal city of Del Mar, Searsucker's menu pays homage to Executive Chef Brian Malarkey’s love for the ocean. With Malarkey's re-imagined twist on new American dishes, he brings farm-to-table authentic dishes to his eclectic menu. To bring family and friends together for Easter Brunch, Searsucker Del Mar will offer Cast Iron Baked Eggs with spring onion cream and roasted morels while Searsucker Downtown will have a Goat Cheese and Spring Veggie Quiche made with an in-house crust. For dessert, both locations will offer Carrot Cupcakes for children. 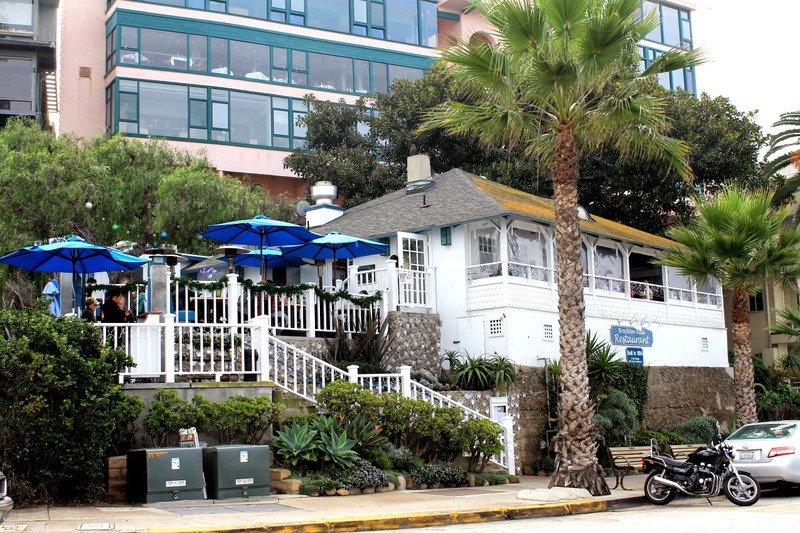 To make reservations at Searsucker Del Mar, please call (858) 369-5700. 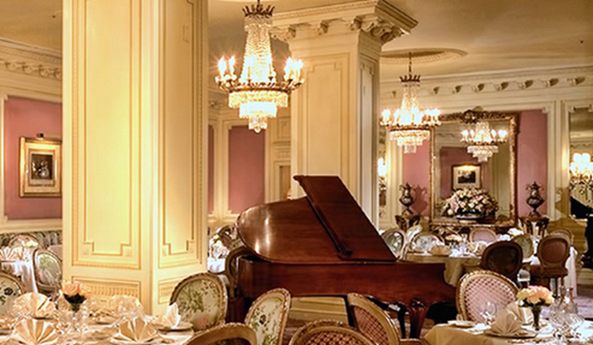 Mille Fleurs - On April 20, Mille Fleurs will host an elegant prix fixe Easter brunch between 10:30am and 1:45pm. Priced at $54 per adult, the three course brunch will feature dishes like White Asparagus Soup with House Made Cinnamon Croutons, Lamb Prepared Two Ways (Grilled and as Osso Bucco) and Chocolate Mousse Feuillete and Rhubarb Gratin with Vanilla Ice Cream and more. View Mille Fleurs complete Easter Brunch menu here. Easter dinner service will also be offered on Sunday, April 20 between 5:30 and 8:30pm. Reservations can be made online or by calling the restaurant directly at (858)-756-3085. Flower Hill Promenade - Kiddos and families alike are encouraged to hop on over to Flower Hill Promenade this Easter weekend to enjoy their annual "Easter Egg Treasure Hunt” on Saturday, April 19. 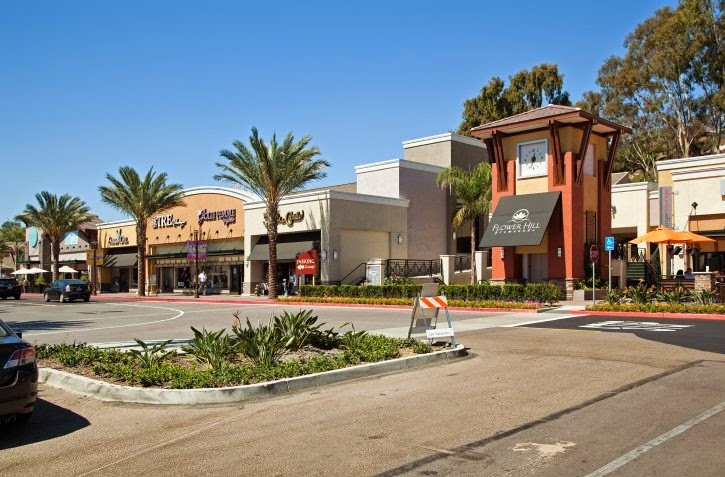 As Del Mar’s premier outdoor shopping district, families of all ages are invited to check in at Geppetto's Toys to receive their "treasure map," which will give them hints to select Flower Hill shops where they will receive a stamp on their map and some special Easter treats. When finished, kids can return their completed treasure maps to Geppetto's and receive a special prize. The famous Easter Bunny will also be there to help with the scavenger hunt, post for photos and hop around from 12 - 2pm that day. 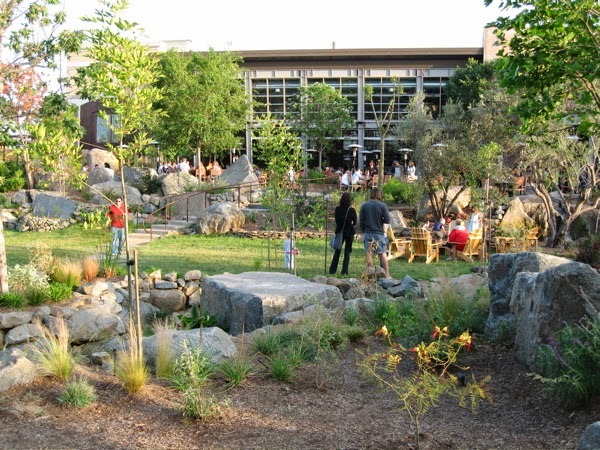 Stone Brewing World Bistro & Gardens – Escondido - Enjoy Easter at the Bistro on Sunday, April 20 from 10am - 2pm. 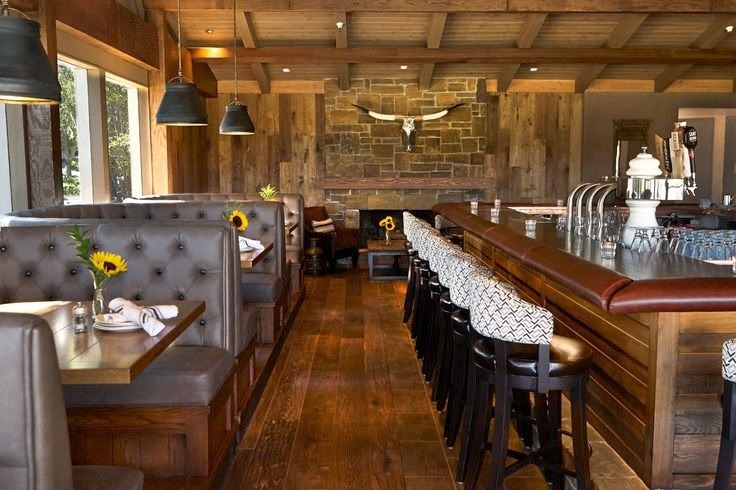 Stone is opening the restaurant an hour early for Easter festivities, and guests may order from the delectable all-day menu or get a made-to-order omelet. Guests may choose from the following toppings - locally made beer sausage, pancetta, applewood-smoked bacon, pulled duck, fresh-diced salmon filet, marinated tofu, cheddar cheese, goat cheese, avocado, red onions, jalapeños, cherry tomatoes, diced colored peppers, caramelized onions and more. The omelet station is $14.95 per person. Half pints 10 years old and younger will have the opportunity to hunt for treat-filled Easter eggs in the gardens before or after a meal. Egg hunting schedule is as follows, with a limit of eight eggs per child: 10:15am – Ages 1 to 3; 10:30am – Ages 4 to 6; 10:45am – Ages 7 to 10; 11:00am – Ages 1 to 3; 11:15am – Ages 4 to 6; and 11:30am – Ages 7 to 10. Rancho Valencia Resort & Spa - At the recently renovated Rancho Valencia Resort & Spa in San Diego, guests can celebrate Easter at Rancho Valencia's signature restaurant, Veladora, with their beautiful Easter Brunch with seatings at 10 a.m. and 12:30 p.m., featuring an array of delicious stations such as Eggs and Meats, a Carving Station, Comfort Food, Assorted Sushi Rolls and Chilled Seafood, Garden Greens, Sweet Endings, Pancake Station with unique pastel Lemon Souffle pancakes and even a station for the little ones. To complete the day, there will be Easter egg hunts, Mother Goose's Petting Zoo, Meet and Greet with the Easter Bunny, Easter Bouncehouse and special take home treats. 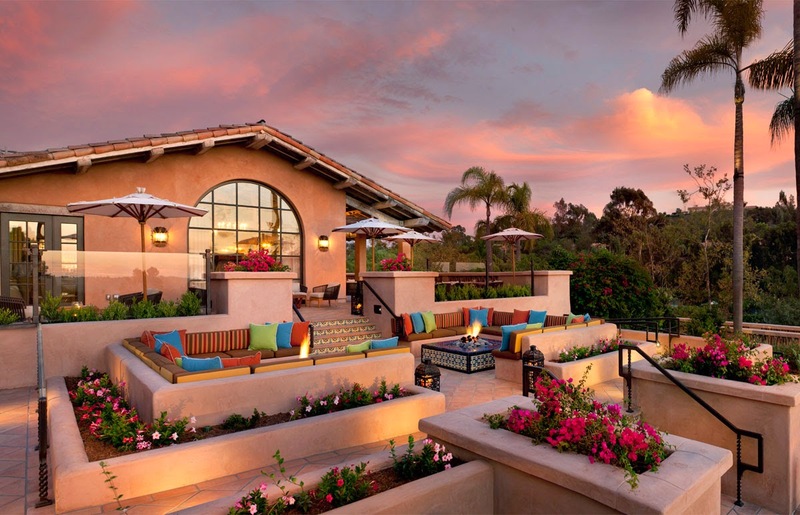 Rancho Bernardo Inn - Rancho Bernardo Inn offers numerous ways for guests of all ages to celebrate Easter. A three course brunch is offered at AVANT featuring main courses such as a Seafood Bouillabaisse with lobster, sea bass and clams or a traditional Braised Lamb Shank. To end the meal, guests choose between a Four-Layer Carrot Cake or a White Chocolate Coconut Mousse. 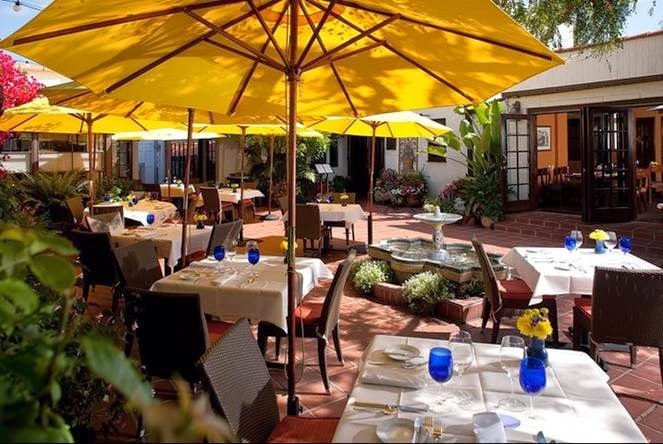 The Veranda Fireside Lounge & Restaurant also offers a three course brunch will bottomless mimosas featuring traditional breakfast dishes such as Eggs Benedict and french toast in addition to standouts like Short Rib Chilaquiles and Duck Confit Hash. In addition to the delicious dining options, Rancho Bernardo Inn will be offering an Easter egg hunt for children of all ages. Prices at Avant are $65 for adults and $25 for kids ages 3-11, and at Fireside adults eat for $39 and kids ages 3-11 eat for $14. 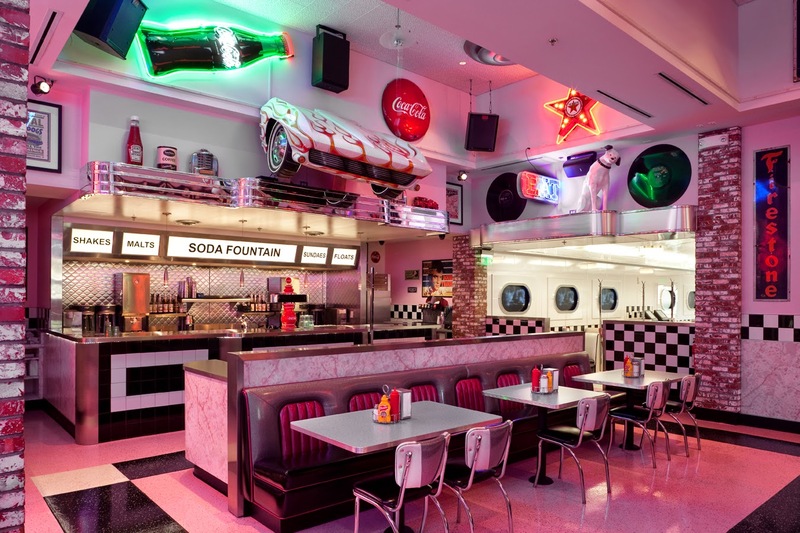 Corvette Diner -A blast from the past, Corvette Diner is keeping the 1950’s alive with more than their rock n’ roll and poodle skirts. The restaurant is offering scrumptious brunch specials that will transport those taste buds back to classic diner days. Living up to their reputation and awards of Most Kid Friendly and Best Family Dining, the diner will also scatter Easter eggs around the venue for the kids to find! The full brunch menu available here. True Food Kitchen - For a menu full of healthy and delicious springtime dishes, families can head to the beautiful outdoor patio at True Food Kitchen. This Easter Sunday, Chef Nathan Coulon will add two holiday specials to the already popular brunch menu, including a Grilled Idaho Trout with asparagus, spinach, fennel, capers, lemon and garlic, and Organic Strawberries and Shortcake served with house made Vanilla Whipped Cream. Other brunch menu favorites include the always scrumptious Quinoa Johnny Cakes with banana, maple syrup and greek yogurt and the newly added Strawberry Chopped with snap pea, fennel, goat cheese, walnut and balsamic vinaigrette, among many others. Brunch is served from 10am to 4pm on Saturday and Sunday. 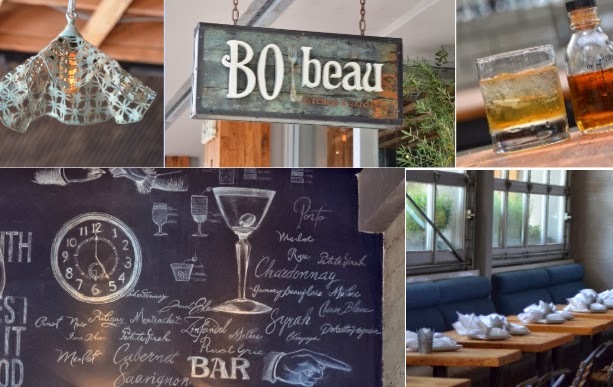 BO-beau Kitchen + Garden - Since opening in East County, BO-beau kitchen + garden has attracted locals with its unique farm-driven fare, and now they are pleased to announce a new brunch launching this Easter, on Sunday, April 20th. The menu will feature specialty items such as house-made granola, fried chicken and waffles, and coffee rubbed steak. The new brunch will continue each and every Sunday from Easter on! Check out the full brunch menu available online here and make your reservations by calling (619)-337-3445. The Prado -Located in the historic Balboa Park, The Prado has become reputable for more than just the breathtaking gardens in its very backyard. On Easter, a beautiful champagne brunch buffet with seven delicious stations caters to all tastes. The feast includes from hot food, seafood, dim sum, and a tempting chocolate fountain as the centerpiece of a display of decadent pastries. Full brunch menu is available here. Cork Fire Kitchen at Temecula Creek Inn - Easter is in the air at Temecula Creek Inn's newly renovated Cork Fire Kitchen. Known for their mouthwatering, farm-to-table Easter morning buffet, both children and adults can enjoy the locally inspired, freshly foraged dishes while enjoying the golf course view. To begin, an assortment of breakfast pastries, croissants and breads are offered alongside flavored butters, jams, cheeses and seasonal fruit. The buffet offers a salad bar, featuring options such as the spring inspired Strawberry and Spinach Salad, as well as many entrees including Eggs Benedict, Chicken Dijonaise and Seared Salmon. The carving station has both a traditional Leg of Lamb and a mustard seed Roasted Pork Loin. The highlight of the brunch is a Belgian Waffle Station with fresh berries, whipped cream, and fruit compote as well as a dessert station. Prices are $49 per person, and children's buffet for $24. If you know of any Easter specials that we missed, or if you want a personal recommendation, please email SanDiegoVille at tips@sandiegoville.com. Cheers!